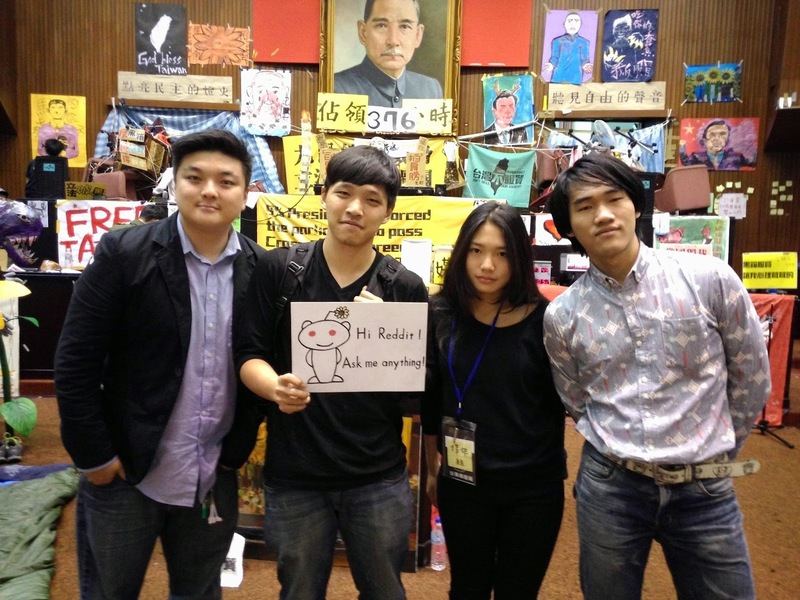 The Sunflower Movement of students occupying Taiwan's national assembly have explained their goals in a Reddit Ask Me Anything session. Led by 25-year-old Lin Fei-Fan and 24-year-old Chen Wei-ting, protesters known as the Sunflower Movement survived early eviction attempts and have organised a peaceful occupation in the legislature building, complete with recycling bins and cameras broadcasting a live feed on Ustream. Taking to Reddit, protest leaders laid out their objections to the trade deal, balancing cost-benefit figures of local GDP against economic and social independence from China, and registering general dissatisfaction with the government. "You guys are so brave," says one Redditt user. "I'm a student and I couldn't even imagine overtaking a Taco Bell." Protestor Oliver Chen replies, "Ask most of us here a couple of months ago, and we would have probably said the same." "But one day you realize that if you aren't willing to stand up for your country now, there might never be another chance. That's a pretty sobering thought."